Now that the evil Count has been killed and dragged to Hell by the demon lords of the Godhand, Guts, the Black Swordsman, hooks up with his former benefactor, the mercenary Gambino. But it's a deadly reunion, one that nearly takes Guts' life. 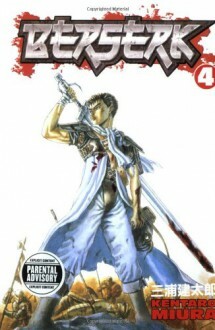 The following years see Guts wandering from battlefield to battlefield, where his awesome skills as a slayer catch the eye of both warring parties, including the legendary Griffith, warrior leader of the Band of the Hawk, who is eager to test his combat skills against those of the Black Swordsman. As usual, anytime that Guts is involved there will be hell to pay!